The record-breaking $110 million sale for Jean-Michel Basquiat’s 1982 Untitled painting earlier this year was an art market story that went mainstream. As I fielded reaction texts and emails from friends and acquaintances, I realized: though I know very few people my age that have spent over $10,000 on a work of art, I can, however, think of peers that care deeply about arts and culture (enough to have serious opinions about a Basquiat sale) and have made donations of that size to arts and culture nonprofit institutions. But the reality is that for a large institution, that's a relatively small gift. This is part two in my series on Millennial engagement with the art world. In my last post, I looked at Millennials' relationship to the art market and how much value empirical value they place on physical art. I'm thinking about the ramifications of Millennial values on the art world, especially when it comes to our tendency to seek experiences, and I'm asking myself: if Millennials are less inclined to invest in art, but we still care deeply about art and design, what does that mean for the institutions that provide cultural experiences? And will Millennials donate at high enough levels to maintain the current business model of a large cultural institution? Around the time of the Basquiat sale, the arts community was rallying around elimination threats to the NEA and NEH. I was relatively unfazed, but then again, I’ve been jaded from my time in fundraising at a major American art museum. These agencies were established before the art world became what it has now is - before Art Basel’s first year in 1970, before the 1973 Scull sale - and as anyone from the art museum side can tell you, the real threat to the funding of the arts is in the decline of support in the private sector. Most American art museums are privately funded - many, including the Museum of Fine Arts, Boston, where I worked, to the tune of 99% - and until recently, they benefitted from the exponential growth of the art market. The same players actively collecting and profiting from art sit on boards, attend art fairs, employ top tier art advisors, build corporate art collections, and perhaps most importantly, influence their friends. Despite more young wealth in the US than ever before, the boards of most of these museums are still largely comprised of older generations, boomers and traditionalists. 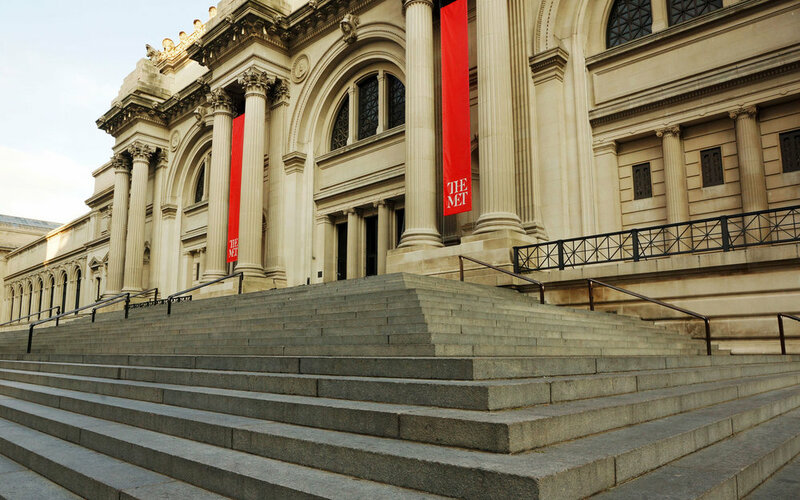 Mismanagement is only partially to blame for the recent financial struggles of significant American art museums, sometimes secret and sometimes public. Donor fatigue is real, and when donations start to dry up, they can no longer mask institutional dysfunction. Millennials are old enough now to be giving, but we diverge from previous generations when it comes to arts and culture. When we do support the arts, it tends to be through organizations where our dollars can have an impact or where we can play an active role - in my case, Artists for Humanity, a nonprofit that employs under-resourced teen artists. At a larger institution, the same gift wouldn't have the same impact; and besides, large museums typically do not measure impact in a way that reflects the mindset of a young philanthropist. Even when young donors are given a "role" at a large museum, their voices are drowned out because they are so outnumbered by older donors. And just as we're not sitting on museum boards, we're not buying expensive art - these two trends are connected, even if it's challenging to find data to support that statement. But throughout history, there has been a correlation between donating and collecting, and most American art museums could not have been built without the backing of private collectors that donated their collections and fortunes. JPMorgan Chase’s corporate art collection began as a personal initiative of David Rockefeller, who also issued a report in 1965 via the Rockefeller Brothers Fund that outlined the importance of federal support of the arts and helped pave the way for the National Endowment for the Arts. He also served three terms as Chairman of MoMA's Board of Directors - his first term in 1948, interestingly enough, at age 32 - and donated to the museum accordingly. Who is the equivalent activist and collector of my generation? If traditional art museums are to continue operating this way, they need to evolve with the next generation of donors, which means fundamentally understanding their mindset and relationship to art. They need to shift from a passive to an active state, foster and measure impact, partner with other organizations in the community, and acknowledge that art can serve a higher purpose beyond its empirical value. If anything is to disrupt the art world, my assertion is that it will be the values of the Millennial and Gen Z generations. Institutions will have to embrace them in order to survive, and because donor behavior is strong indication of collecting tendencies, there will inevitably be ramifications for the art market. Basquiat thought no one ever understood his art. He had cursed his dealer, he felt marginalized, he struggled. He had sworn off the art world before his death at twenty-seven. The machinations that he denounced are the same ones that vex younger generations today. I think if he were still alive, he’d be both thrilled and disgusted by his success, and maybe even leading the revolution. And speaking of revolutions, my next installment will be about millennials, art, and the public sector.